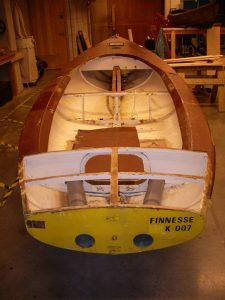 Finesse is one of three Finn dinghies in the museum’s collection and is the oldest surviving British registered Finn, possibly the oldest in the world. She was one of a number built for the 1952 Olympics (see early history of the class under Seawolf BAE0020) and numbers for the class were allocated internationally, with 9 going to Germany, 5 to France, 2 to Belgium, 2 to Austria, 1 to Denmark and 3 (numbers 3, 5, 7) to Great Britain. Finesse was Finn number 7 and was owned originally by Martin Beale, an important figure in British dinghy racing history. 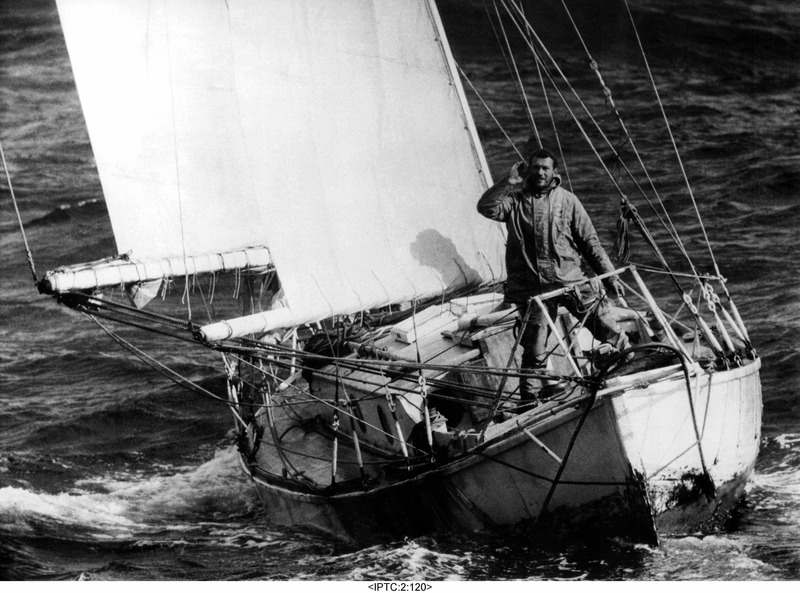 She was then owned by Richard Creagh-Osborne, one of the great British dinghy helmsmen, who gave her the name Finesse and sailed to first place in five Finn nationals, and took part in several Finn Gold Cups (the Finn class’ world championship), though it is uncertain whether he used K7 for all of these, though he reportedly believed that Finesse was faster than some of the later more sophisticated examples of the class that he owned. The boat was later abandoned in a sailing club dinghy park for about fifteen years during which time its condition deteriorated somewhat, and was subsequently gifted to the museum and underwent a programme of restoration.